Indigenous peoples refer to the original inhabitants of Canada and include Inuit, Métis and First Nations living on- and off-reserve. 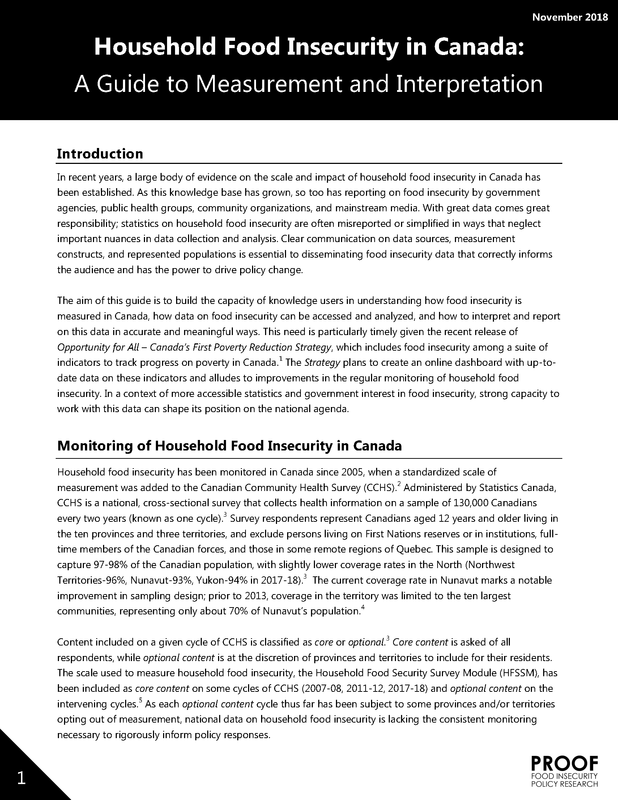 National data on Indigenous peoples and household food insecurity in Canada primarily come from the cycles of the Canadian Community Health Survey (CCHS). However, the CCHS excludes individuals living on-reserve in Canada, and thus data from these surveys do not represent the experience of on-reserve Indigenous peoples, who represent just over one-third of the Indigneous peoples in Canada. Studies of Indigenous peoples repeatedly demonstrate their extraordinary vulnerability to household food insecurity. 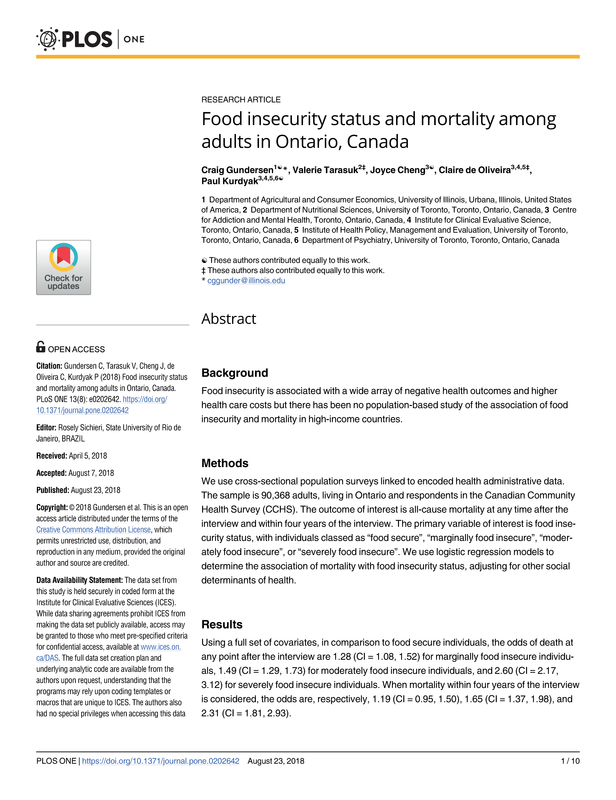 Indigenous households in Canada are more likely than non-Indigneous households to experience the sociodemographic risk factors associated with household food insecurity (e.g. extreme poverty, single-motherhood, living in a rental accommodation, and reliance on social assistance). Even after these factors are taken into account, Indigenous households remain at a much higher risk of household food insecurity and are more likely to be severely food-insecure. Researchers and practitioners in Indigenous communities have highlighted the distinct food procurement, preparation and distribution practices among Indigenous groups. 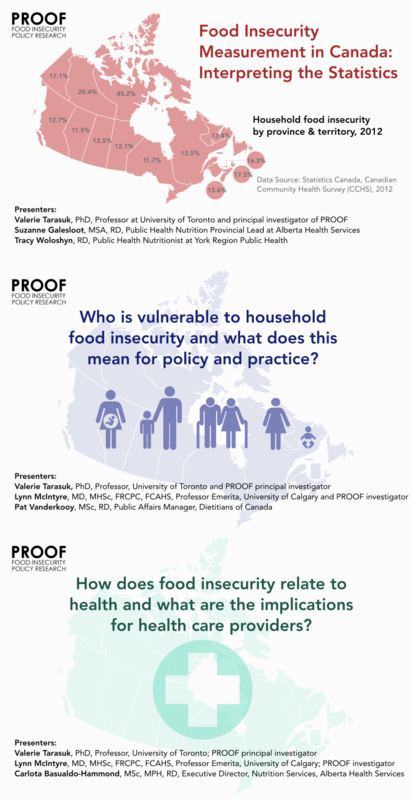 The measure of household food insecurity used in the CCHS was developed in non-indigenous contexts and does not probe for information that may be important to Indigenous peoples’ household food insecurity. For example, household food insecurity may be related to food procurement from both market and traditional sources (e.g. fishing, hunting), and broader factors such as climate change and environmental pollution may be salient due to their impact on the availability of edible plants and animals found in nature. Research in the area of household food insecurity among Indigenous peoples that is grounded in the realities of Indigenous peoples’ culture, beliefs and political systems is vital to the development of appropriate interventions to reduce household food insecurity among this vulnerable group. Huet C, Rosol R, Egeland, GM. Journal of Nutrition 2012; 142(3): 541-547. Egeland GM, Johnson-Down L, Cao ZR, Sheikh N, Weiler H.
Journal of Nutrition 2011; 141(9): 1746-1753. Willows N, Veugelers P, Raine K, Kuhle S.
Health Reports 2011; 22(2): 1-6. Egeland GM, Pacey A, Cao Z, Sobol I.
Canadian Medical Association Journal 2010; 182(3): 243-248. Canadian Journal of Public Health 2010; 101(3): 196-20. Willows ND, Veugelers P, Raine K, Kuhle S.
Public Health Nutrition 2008; 12(8): 1150-1156. Canadian Journal of Public Health 2008; 99(2): 95-97. Canadian Journal of Public Health 2005; 96(S3): S32-S36.